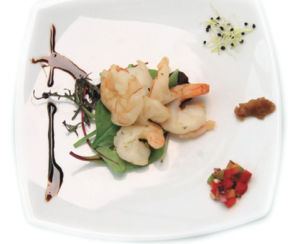 Dinner Cruise Menu – The menu of the A La Carte Dinner on Budapest Danube Legenda Cruise Ship. You can see the Drink List of the A La Carte Budapest dinner cruise too. Make your choice of dinner on the cruise ship according to the menu. 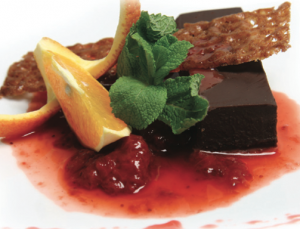 The A La Carte Menu contains Vegetarian options (indicated by (V)) and Gluten-free options (GF). All the Starters and Soups are available gluten-free. Please let the cruise staff know about your requests on board. 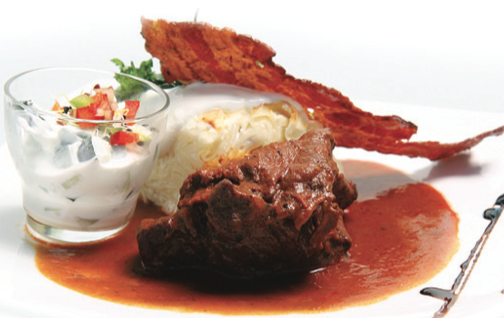 Should you have any questions about the menu, please contact us at info [at] budapestrivercruise [dot] com. The menu of the a la carte dinner cruise is valid until October 31, 2019. I made a booking for 8th of July 2014 at 7.45pm. I got an email confirmation but how do I pay? Do you send me payment form needed? Dear Kimmo, thank you for your inquiry. As for the a la carte dinner cruise in Budapest, in each case we are sending the payment link personally via email (supposing there are available seats left on the boat), as we need to check the complete calendar receiving instant reservations from all buying channels at the same time, in real time. This way we can avoid double or triple bookings. We have sent you the reply email regarding your July cruise inquiry. I did receive the reply e-mail to my inquiry. How long between inquiry and time I receive confirmation of space as well as payment link? Hello Nicola, yes, the reservations for 2016 a la carte dinner cruises are now available. Please note that there is a price increase compared to 2015. The new cruise fee of the a la carte cruise on Legenda ship is €62 (HUF 18600) per person, including a 4 course dinner deal (1 starter, 1 soup, 1 main course with side dish, 1 dessert) which you can choose on the spot, 1 welcome drink, 2.5 hour cruising on the river Danube in the city of Budapest, and live music provided by the salon band. Currently we have seats on the cruise between January 10 and 16. Weekend cruises (Friday, Saturday and Sunday) are booked up the fastest. I am writing to enquire if you have availability for 2 people on the A la carte dinner cruise for Friday September the 25th 2015.
yes, there are, but the available seats can be changing any second, as the candle lit cruise booking is continuous, and if smaller or bigger groups come to the cruise, the 80 seats are quickly gone. Please send an inquiry by filling out the form, and we will get back to you via email. Hello I am thinking of booking this cruise. Is the “hotel expo congress” near to where the boat docks ?!? Dock: the cruise leaves from and arrives at Vigado Square, Dock 7, which is located in the city center of the Pest side of Budapest (District V). It is not nearby from your accommodation, so we suggest using a taxi or shuttle service. 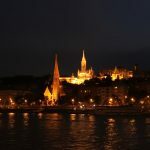 Have a wonderful time in Budapest, and hope we can welcome you on board on the Ala Carte Dinner Cruise! Hi, just wanted to check if these cruises are still available, hoping to book one for 24 December. The last message here is from Jan 2015 so I am not sure the trips are still going. the A La Carte Cruise, unfortunately, won’t run on Dec 24. Have a nice time in Budapest and enjoy the Budapest River Cruise! Hello! 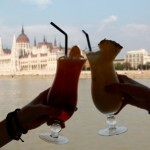 I am planning on buying the Budapest Card – 24H and I believe it offers a 10% discount on the a La Carte Dinner Cruise. Am I required to prebook with the cruise in advance? What is the procedure I should follow? Yes, the Legenda A La Carte Dinner Cruise Ltd offers 10-20% off cruise fees depending on the cruise program for Budapest Card holders. 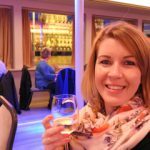 Going on a Legenda Candlelit Cruise with a Budapest Card is a great idea indeed. I wanted to check if there is a possibility to get vegetarian dishes with no meat, no fish and no egg apart from what is given in the menu? as there are only 1 soup n 1 main course for vegetarians. It is our wedding anniversary so wanted it to be special. this is for 20th July 2017 for 2 persons for ‘pay as you order’. I am afraid, the menu is set for this program. Hi does the €62 include the 4 course meal from the a la carte menu and a welcome drink? 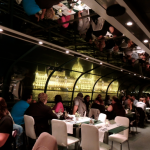 Enjoy this fantastic A la Carte Dinner Cruise in Budapest. Is there music and or show with the ala carte dinner? Yes, there is a mellow piano background music on the A la Carte Dinner Cruise which is ideal for romantic dinners. I will be staying at the Aquincum Hootel in May and was wondering how close the docks are to my hotel. How accessible are the docks from this hotel by public transport too? most of the docks are located between the Chain Bridge and the Elizabeth Bridge on the Pest side. It is approx. 35-40 minutes by public transport from your hotel, so we would recommend to come by taxi (only approx. 20 minutes).